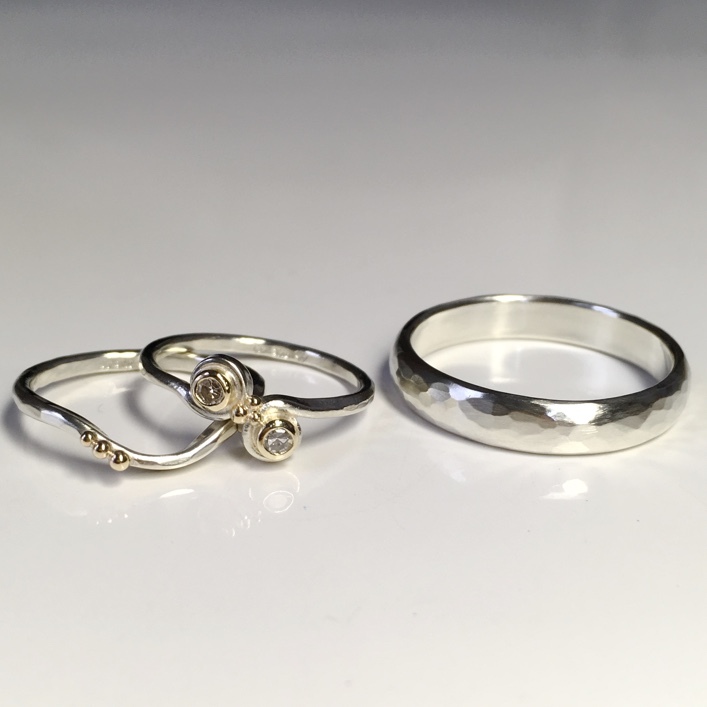 A really lovely couple, new to us, commissioned their engagement ring & wedding bands & recently, incorporating two inherited Diamonds. 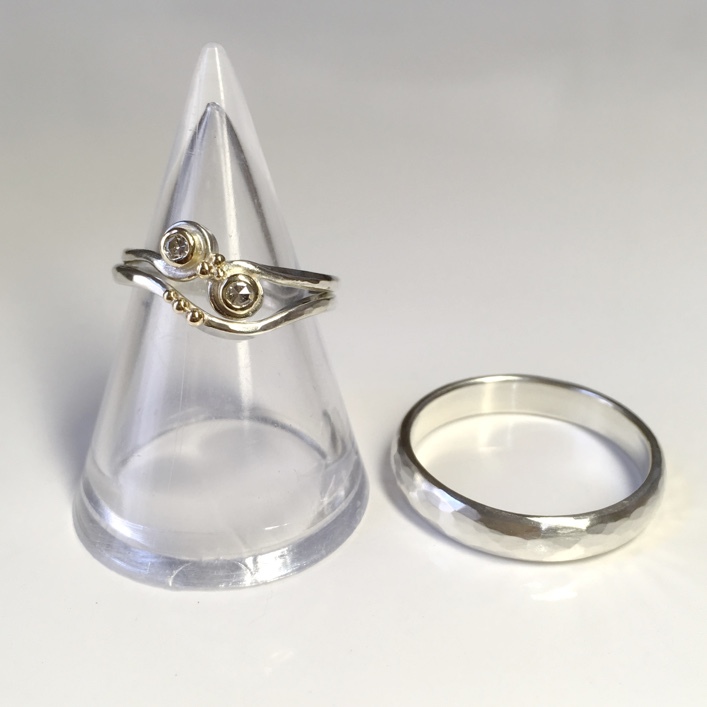 Both solid 9ct white gold with soft hammer texture, hers had contrasting 18ct yellow gold settings & granulation beads decorating the curved design, mirrored by the wedding band. They loved them yay! 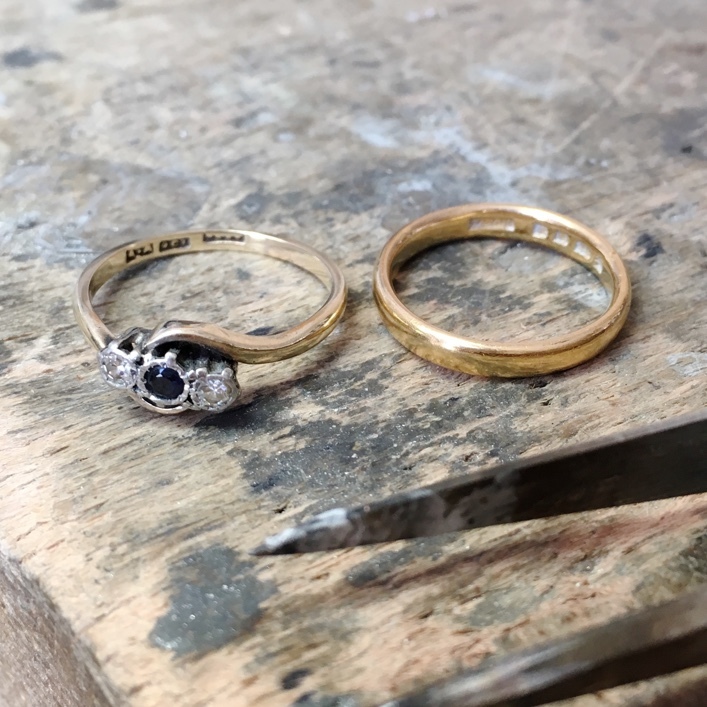 The old jewellery to be used in the new wedding jewellery.